By Karrar Haider in Social Media. Updated on November 26, 2017 . There are times when you really like a video on Instagram and want to save the video to your collection, but there is no mechanism to do so. However, there are certain ways to download Instagram videos, but for that you might have to struggle a bit. So in this tutorial I’ll show you multiple methods to download Instagram videos on your PC, Android, and iOS devices. Warning: It’s illegal to download Instagram videos in order to alter or share them as your own. You can only download videos for personal use. If you will violate copyrights, we will not be responsible for any actions taken against you. On your PC, you can either do it manually or get help from an online video download service. I’ll show you both ways. Open the video that you want to download. 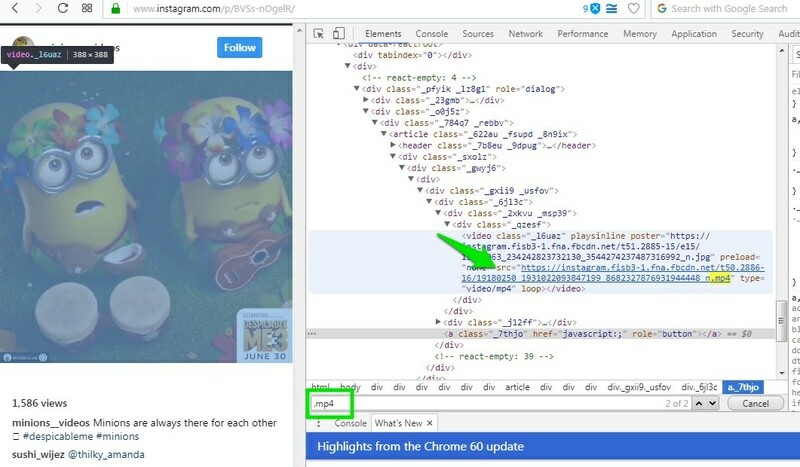 Right-click on it and select Inspect element. Depending on your browser the name could be different, like View page source. Now press Ctrl + F keys to open Find option and type ".mp4" in it. The search will open up a section of code. Here, copy the link next to src= (the link ends with .mp4). Just paste this link in a new tab and the video will start playing. You can then right-click and select Save video as… to download the video. 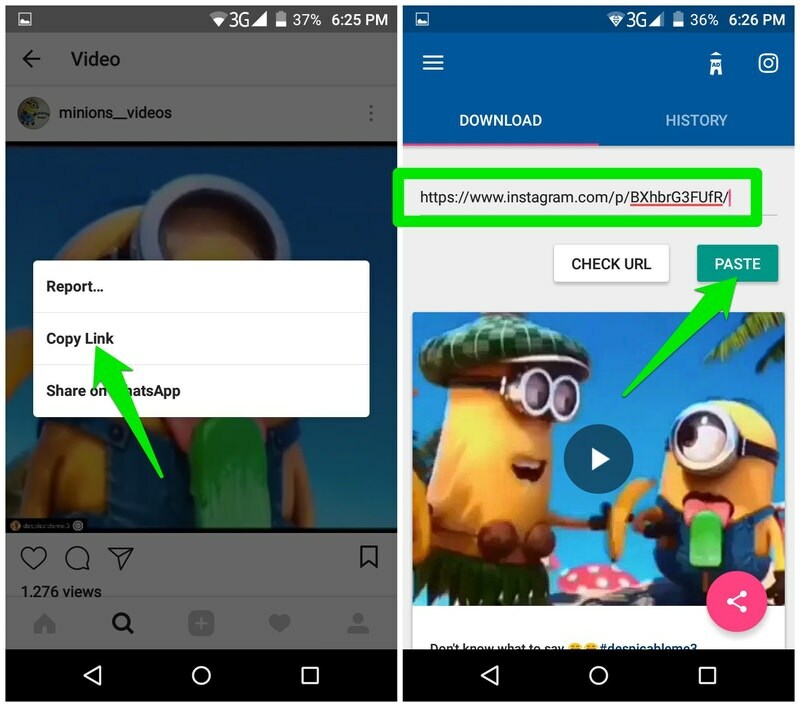 Open the Instagram video that you want to download and copy its URL. Now open DownloadVideosFrom and paste the URL into the text field. Below, click on Download MP4 to convert and download the video. There are also options to download MP3 (only audio of videos) or Instagram photos. To make this work, first go and watch the video that you want to download. Whatever part you will watch will be downloaded. Therefore, make sure you watch the whole video if you want the complete video. 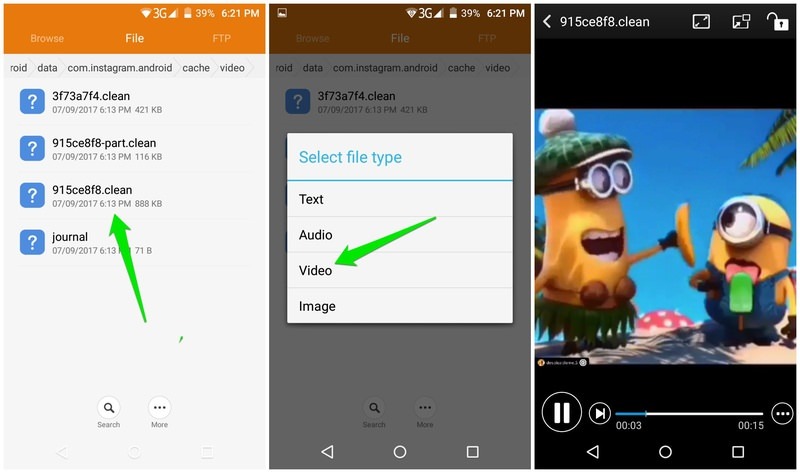 Next, open your phone’s File manager and go to Android > data > com.instagram.android > cache > videos. Here you’ll find all the videos you have viewed, and they will have .clean extension. You can tap on them and select Video option to play them. Note: If your phone doesn’t have a built-in file manager, then you can also use a third-party file manager like ASUS File Manager. If you want to convert them to an audio format, then simply rename them and change .clean extension to .mp4. Note: All these videos are saved as cache. If phone cache is deleted, then these videos will be deleted as well. If you want to permanently keep a video, then you should move it to a different location. In the Instagram app, open up the video you want to download and tap on the menu at the top-right corner (the three vertical dots). Now tap on Copy link. Afterward, open up the Video Downloader for Instagram and tap on the Paste button. The link will be pasted and the video will be automatically downloaded and saved in the gallery. The options are very limited when it comes to iOS, but I know a good repost app that also downloads the Instagram photos and videos. 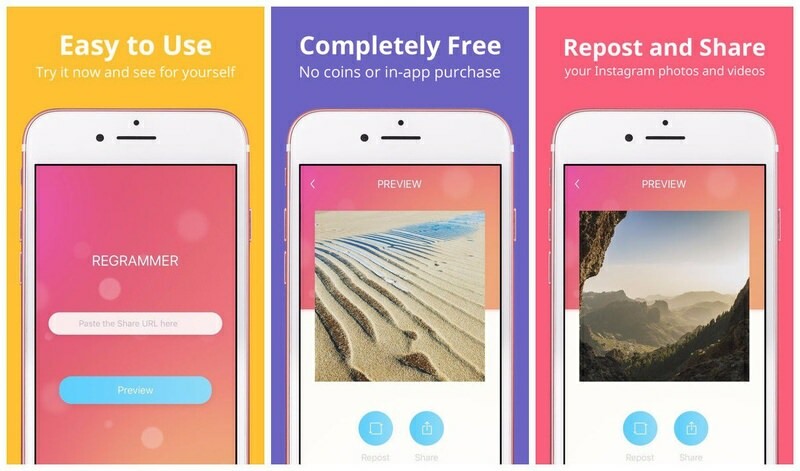 Regrammer is a completely free app (ad supported) that will help you download any video from Instagram to your iOS device. Its usage is same as Video Downloader for Instagram. Simply copy the video’s URL from Instagram and paste it in the Regrammer app. Afterward, tap on Preview to open and download it. The video will be automatically saved in the camera roll and you’ll see options to repost it. I believe using a third-party is a much easier way to download Instagram videos. All you need to do copy/paste the link to get your video. Although the manual methods can also work well in certain situations. 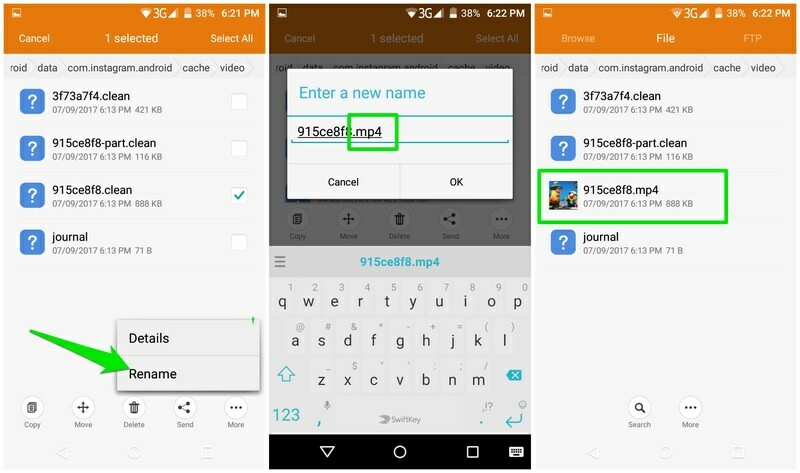 For example, if you want to download videos from your history of viewed videos, then the manual Android phone method is a great option.